“The real estate market in the UAE has cooled down after expanding strongly in 2013 and the first half of 2014. 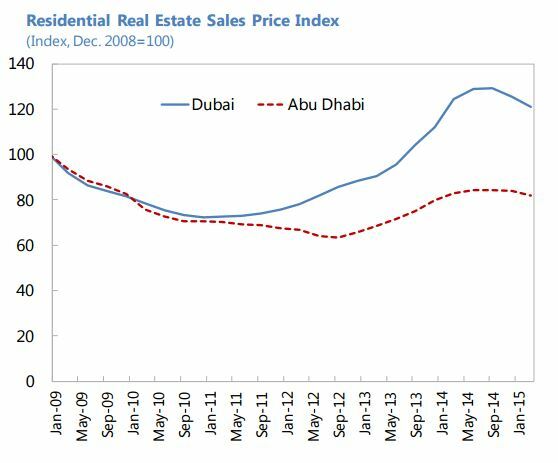 By end-2014, sales price increases moderated in Dubai and Abu Dhabi, and in March 2015, growth in residential sales prices turned slightly negative in both Emirates, in year-on-year terms (…). These developments are taking place amid increased supply, particularly in Dubai, and reduced demand associated with lower oil prices and appreciating US dollar, and following the introduction of mortgage regulations based on loan-to-value ratios and an increase in the property transfer fee in late 2013. With the additional new supply in the market, Dubai’s sales’ prices are expected to further decline over the course of the year, while constrained supply through 2017 will support prices in Abu Dhabi. 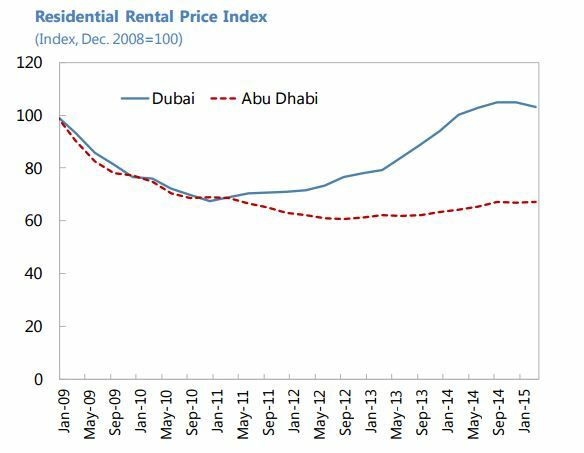 (…) Price-to-rent ratios have declined since mid-2014 in both metropolitan areas, indicating a healthy correction in the UAE’s likely overpriced housing market”, says the IMF new report on UAE.